"Betterment for 100% of Humanity"
of his dreams, and endeavors to live the life which he has imagined, he will meet with a success unexpected in common hours." I was so grateful to discover those quotes a few years ago. By then, I had already built an entire city of castles in the air. While I am still surrounded by unlimited creative possibilities, I am seeking to build solid foundations under the projects, organizations, and companies I have been blessed to help create in order to ensure their ultimate success. 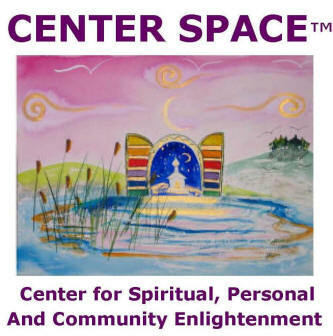 In recent years, I have been focusing mostly on building solid foundations under the Castles now described as Ultimate Destinyland™, CENTER SPACE (the Center for Spiritual, Personal and Community Enlightenment) and our Expanding the Circle of Success campaign to establish a network of CAN DO! Community Economic Development and Empowerment Resource Centers to help provide training on Successful Living Skills for the 21st Century including Infopreneurship. 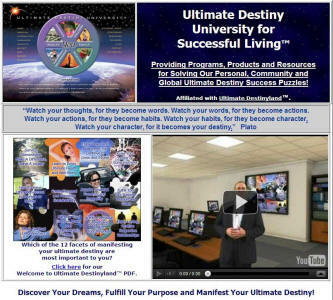 Our present focus is on launching Ultimate Destinyland with Ultimate Destiny University and our "flagship" program, the Ultimate Destiny Success System (UDSS). 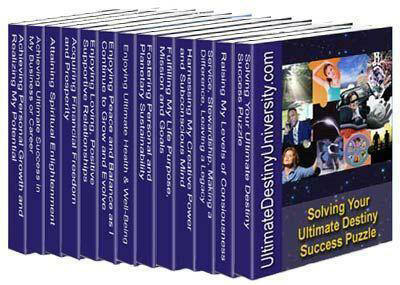 It consists of over 1,200 pages in 14 stand-alone programs designed to help participants realize more of your potential and fulfill more of your ultimate destiny (whatever that means to you personally). One of the resources I use to help me remember who I am and why I am here is an "altar wall" filled with images and affirmation statements that reflect my desire to manifest faithful, grateful stewardship over the talents, treasures and resources entrusted to me. I like to spell the word God with the infinity symbol for the o because I believe G∞d is Infinite Good. If you would like to see what I hold in my mind and heart in my morning visioning and meditation session, you might enjoy taking a look at Crowned with the Light of the Christ. 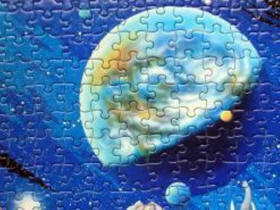 You might also appreciate my "frame of reference group" that I describe as my S.M.A.R.T.E.S.T. Spiritual Mastermind Team. 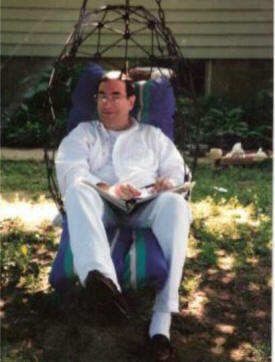 The “swinging chair” was designed by Eric Donovan and his dad Wink who worked closely with Bucky Fuller. They lived next to me for a few years in the intentional community of Stelle, IL. 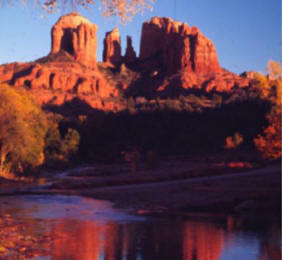 I discovered that statement I had written in a journal back in 1998 one morning recently as I was receiving a vision of all the amazing and rich resources that have already been entrusted to me to help millions of people A.R.K.-- Awaken to their true Spiritual identity, Realize more of their inherent potential and Know how to fulfill their Ultimate Destiny. For most of my professional career of 40+ years, I have worked for government disaster relief agencies and community economic development organizations. 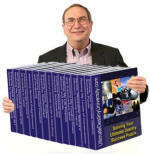 I have always had an interest in personal growth and development, have attended hundreds of training programs and I have created a few resources of my own. For the past few years, I have been co-founding cause-oriented companies involved in fostering personal growth and development, organizational and community empowerment, spiritual enlightenment, wisdom, enlightened wealth and well-being. 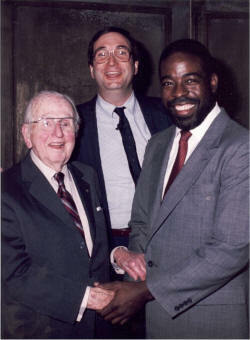 One of the many classic books that have lit up my path is God Calling, edited by A. J. Russell. One of my favorite passages from the book is : "Rejoice at the wonders to which you are called and seeing them in prayer, rise in My Strength, filled with the longing to attain them." Rise and Shine With Your Personal ARK of the Covenants to Help You Awaken to Your True Spiritual Identity, Realize More of Your Inherent Potential and Know How to Manifest Your Ultimate Destiny. 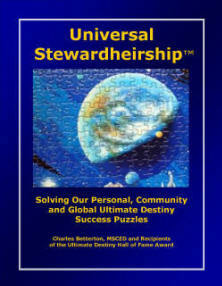 Charles Betterton is Chairman & CEO of Universal Stewardheirship, Inc., a company that he and team members cofounded in September 2011 based on programs, products and organizations they have been co-creating over the past few years. Charles has almost 40 years of successful executive and managerial experience in government, disaster relief, non-profit agency administration, and business. He has a Master’s in Community Economic Development from the Graduate School of Business at Southern New Hampshire University and he is certified as an Economic Development Finance Specialist by the National Development Council. Charles has co-founded several companies and non-profit organizations that provide educational programs and services that foster spiritual, personal professional, organizational and community empowerment. 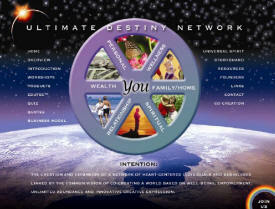 Some of these are: the University for Successful Living™, the Center for Spiritual, Personal, And Community Enlightenment (CENTER SPACE), Ultimate Destiny University, CAN DO! 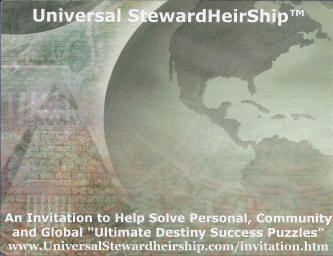 and Universal StewardHeirShip, Inc.
Know how to manifest their ultimate destiny. specialist for HUD (the U.S. Department of Housing and Urban Development), I began to describe myself as a Community Development Specialist for Heaven on Earth. 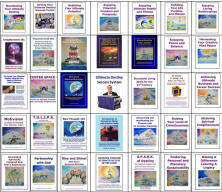 The next two books I am coauthoring will provide additional proposals, plans and strategies for helping "solve the ultimate destiny success puzzles" for the United States of America and for our planet that Bucky (Buckminster) Fuller referred to as SpaceShip Earth. I agree and have a vision of "The United State of Americans" and a proposal for establishing a network of non-profit CAN DO! Community Economic Development Empowerment Resource Centers. 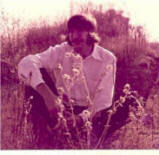 I would choose the song Earth. 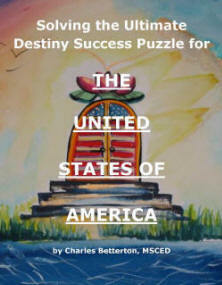 An Invitation to Help Solve Personal, Community and Global "Ultimate Destiny Success Puzzles"
Copyright 2011-2016 by Charles Betterton. All rights reserved.